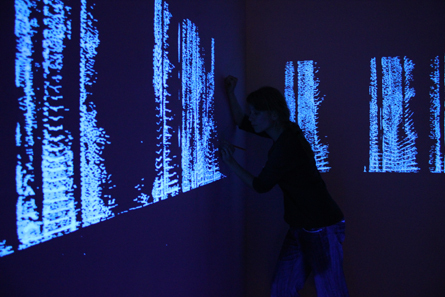 Spectrograms are 'vocal fingerprints' of a person. appear on the walls of a room in ultraviolet light. 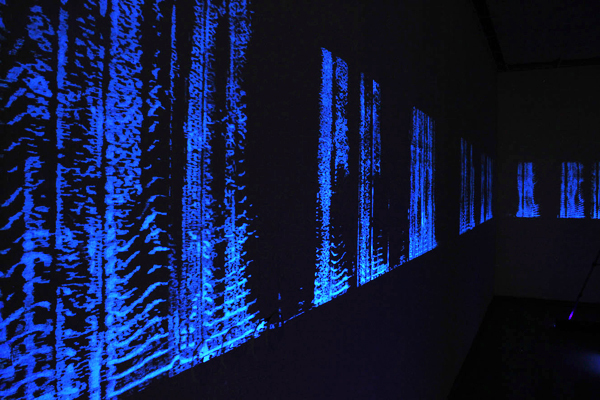 sonification, the voices become audible.